There are several things you can do to customize your SharePoint Online or SharePoint Server 2019 site. The sections below list those things and provide links to more information about how to perform each task. You can also download an infographic with a high-level overview of the different ways you can customize your SharePoint site. 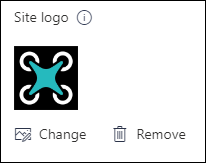 One way you can customize your SharePoint site is by changing the site logo. 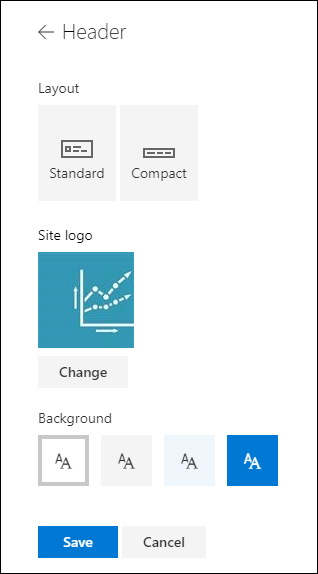 For more information about changing the logo for your site, see Manage your SharePoint site settings. 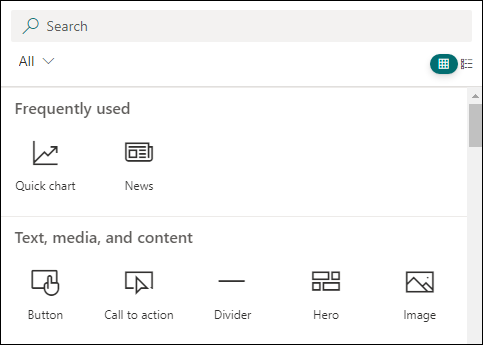 You can change the look of your SharePoint site so it matches your organization's brand. 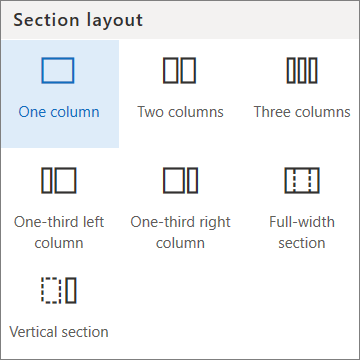 For more information about customizing the theme of your site, see Change the look of your SharePoint site. For more information about customizing the site header of your site, see Change the look of your SharePoint site. You can add or remove links on your site navigation. 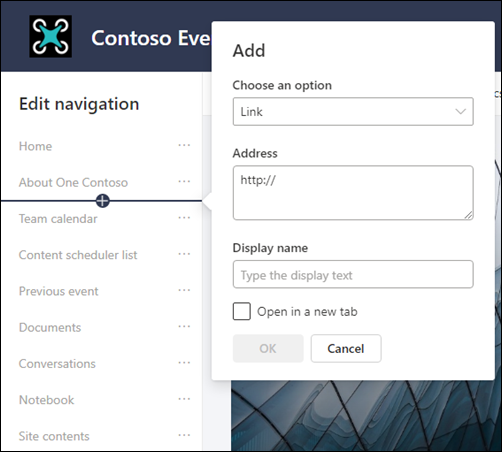 For more information about editing your site navigation, see Customize the navigation on your SharePoint site. You can add a site footer and edit footer navigation links to communication site site pages. They are not available for list pages, library pages, or other pages on your site. You can create, edit, and customize pages on your site with rich, responsive layouts. For more information, see Add a page to a site. Web parts provide a way for you to add robust content to your SharePoint site. For more information about adding web parts, see Using web parts on SharePoint pages. Need to create a SharePoint site? Check out one of the below articles to create a site in SharePoint.